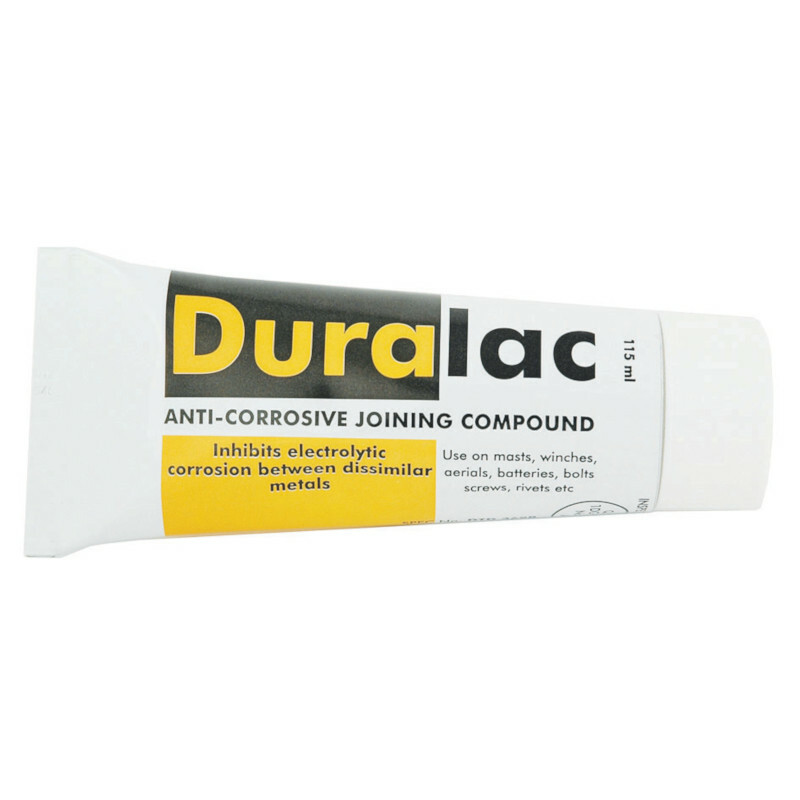 Duralac is a highly effective jointing compound which prevents electrolytic corrosion between dissimilar metals. · Between aluminium alloy plates, extrusions and bolts or rivets used in building applications. · General engineering applications where dissimilar contact cannot be avoided. Duralac is supplied ready for use and must not be thinned. It is best applied by brush. When Duralac is applied to metal or other surfaces the volatile solvent evaporates and the compound sets to the touch, but remains tacky for a considerable period. It is important that the joint should be closed while Duralac is still tacky to ensure that it will flow sufficiently under pressure to close the gaps in the joint. It will harden somewhat if a thin film is left exposed to the atmosphere for a long period and this will prevent the making of a close joint. Duralac has low solubility in water and will not erode with time, even when subjected to high pressure from considerable water flow. Duralac enjoys excellent adhesion properties to most substrates and because of its tough flexible composition, has very low water absorption. Duralac has a two year shelf life from the date of despatch when stored below 20°C. Once opened the remaining Duralac will form a skin. Our communications keep you informed about our new products, offers and events. Click here and we will include you in our e-mailings, we do not divulge your address to third parties. Copyright © 2018 Proboat Ltd. Although great care is taken to ensure the information in this website is accurate, all information is given for guidance only and is not contractual. We reserve the right to alter specifications without notice. The purchaser is responsible for choosing the correct product for it's particular application. All goods are supplied according to our conditions of sale which are available on request at any time.